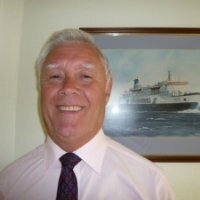 Russ has enjoyed a long and distinguished career with the Merchant Navy and has wide experience of maritime issues and the evolution of the modern fleet. He can draw upon this wealth of experience to coach and assist young captains (and prospective captains!) in their leadership and professional development. 40 years in the British Merchant Navy culminating in command with P&O Ferries. CPD through CILT (UK), Nautical Institute & Honorable Company of Master Mariners. Shipping & Business involvement through the Hull and Humber Chamber of commerce Industry & Shipping. Russ is the official inventor of the now world famous 'Astro Bucket'.